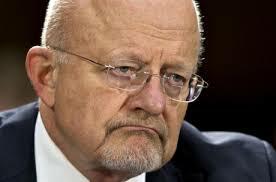 Thanks to rogue contractor Edward Snowden, the machinations of the shadow bureaucracy Clapper heads have for the last eight months been exposed one news story at a time. Clapper is often the guy who has to call newspaper editors to tell them not to print stories that they usually publish anyway. This process of pre-publication notice to the government of NSA stories has been wildly misreported in some places. I’ve long expressed contempt for this process where it results in the suppression of information that should be public; where it essentially elevates U.S. officials into publication partners by engaging in protracted “negotiations” with them over what can and cannot be published; and especially where it means news organizations knowingly allow government officials to lie by withholding the actual facts. For all the NSA stories published over the last eight months all around the world, the U.S. government was notified prior to publication (usually very shortly prior) by the news organizations’ editors (never, to my knowledge, by the journalists, at least not by me). News organizations do this for two reasons.